Marvin Gene Masterman, 88, of Barnum, MN, died Sunday, April 8, 2018 at Hope Hospice, in Fort Myers, Florida. Marv was born August 4, 1929 to Edna and Louis Masterman. He grew up in Oakdale, Minnesota, and graduated from North High in North St. Paul in 1950. He married Beverly Boman on September 12, 1975. Marvin worked for St. Paul Fire Marine Insurance, now Travelers, for 34 years, retiring in 1984. He was a volunteer fireman for Oakdale Fire Department for 20 years and for Holyoke Fire Department for 29 years. He built the Northstar Ballroom in Carlton in 1973. Upon retiring, he and Beverly built a log house in the Barnum area where they lived in the summer. They also built a home in Florida, where they spent the winter months. 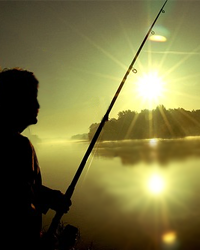 Marv’s hobbies were music, hunting, fishing, and spending time with his grandchildren. 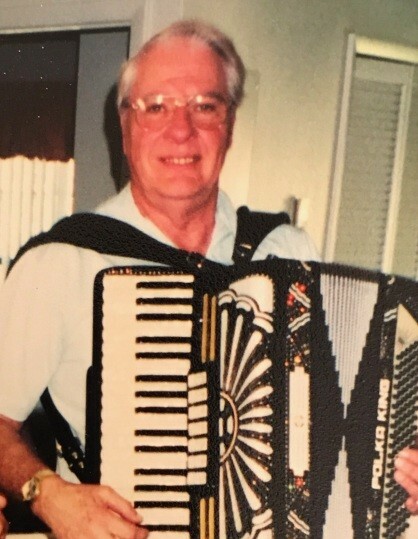 He played the accordion and started a band while a teenager. Later, it grew to a 9 and 10-piece band, playing both modern and old-time music. The band recorded the “Win Twins Polka” and it made the top 40 rock-and-roll station. Marv was awarded a Lifetime Achievement Award for his music. He was a lifetime member of Minnesota Deer Hunters, and of the Masonic Lodge in North St. Paul. Marvin is survived by his wife Beverly; sons Ronald Masterman and friend Kala , Gary (Jeanette) Masterman, David Masterman and friend Joyce; stepchildren Robert (Tondra) Fry, Debra (Jon) Brook, Denise (Marc) Reese;; grandchildren, Bill (Jenny) Masterman, Missy (Kevin) Mann, Laura (Rob) Wyse, Sarah (Neil) Cooper, Christina Masterman, Taylor Masterman; step-grandchildren, Marcie (Josh) Blaker, Kristina (Adrian) Gonzales, Shalee (Joe) Palmquist, Renee (Dayne Schnieble) Fazekas, Matt Fry, Mark Selle, Holly Reese, Tammy Reese, and Brett Reese; 9 great grand children and 7 great step grandchildren. He was preceded in death by his parents; Louis and Edna Masterman; son, Glen Masterman; and sister Jane Slinde.